Burnley Council is consulting until the 31st of March 2014 on Issues and Options for the Borough’s new Local Plan. And then looks at how these four scenarios could be met by identifying sites for particular uses (housing, employment, mixed uses, retail); and by setting out options for development management policies. 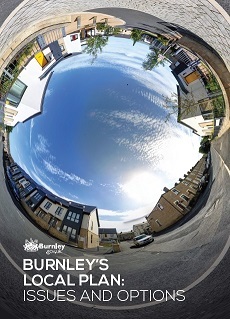 When complete the new Burnley Local Plan will set the planning framework for the next 15 years. This is a key consultation for those who own, or want to develop land, and for local communities – now is the time to get your views across – whether that is to promote a site that will help the growth and regeneration of the town, or to whether you want to shape the future of your local community.